Convert videos for iPod, iPhone, Apple TV, Zune, PSP, Pocket PC, Creative Zen, Archos, and various other MP3 players and audio players. The easiest Mac video converter to your videos to all sorts of different video formats with only a few intuitive steps. 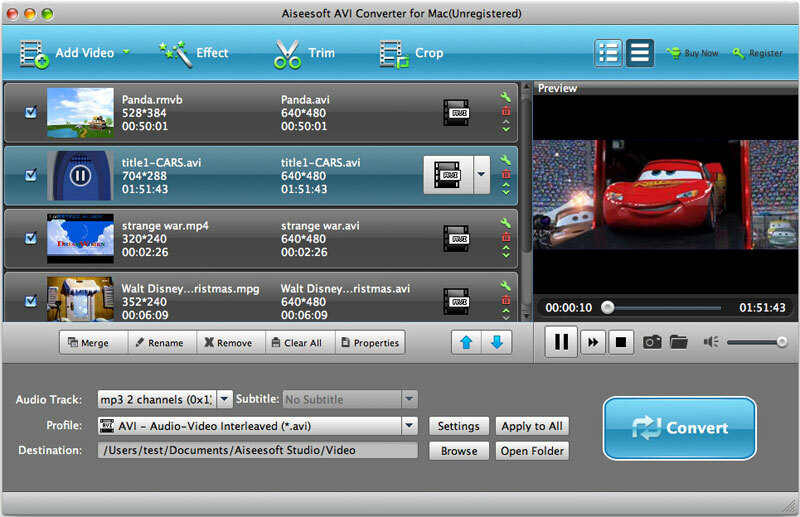 Why choose Video to AVI Converter for Mac?